Even though I had read this book last year, I ordered it because, with my encouragement, my f2f book club was to read it for our August selection. 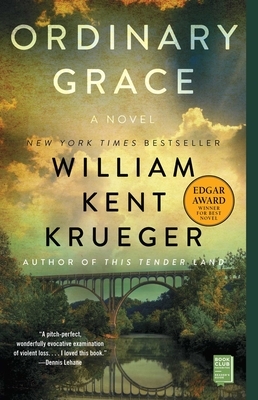 "Ordinary Grace" was as good, if not better, on the second reading. It garnered 8 out of 8 positive reviews from our members. Each one thanked me for choosing the book, and moderating the meeting. On first reading, I had written to Mr. Krueger expressing my thanks for such a beautiful book. He actually answered my email! I can't recommend this highly enough.